Due to an issue that our Internet Service Provider is having we are currently experiencing a network outage. This outage affects our connection to the internet. 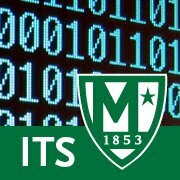 Internal services such as Banner, Moodle, and MyMC should not be affected. We are working to resolve this issue as quickly as possible.